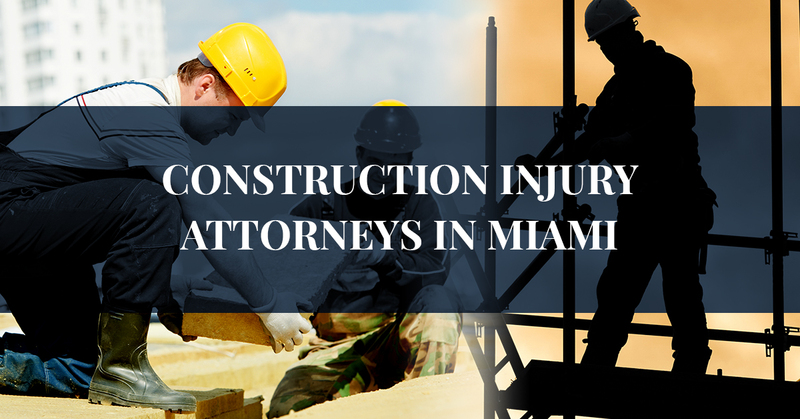 Construction Injury Attorney - Call Our Lawyers In Miami | Mario Trespalacios P.A. If you’re injured while working on a construction site, you may be eligible for compensation for your pain and suffering. This often comes in the form of workers’ compensation, and at the Law Offices of Mario Trespalacios P.A. in Florida, we specialize in workers’ compensation cases for people who have been injured on a construction site. Construction sites can be very dangerous places to work. According to the Occupational Safety and Health Administration (OSHA), one in ten construction workers are injured on the job each year. 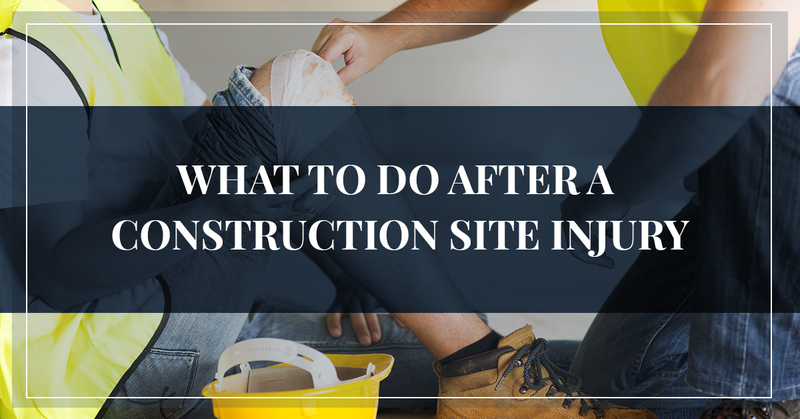 Construction injuries can occur in a number of ways, and while some of these causes may be easy to spot, others are less obvious. 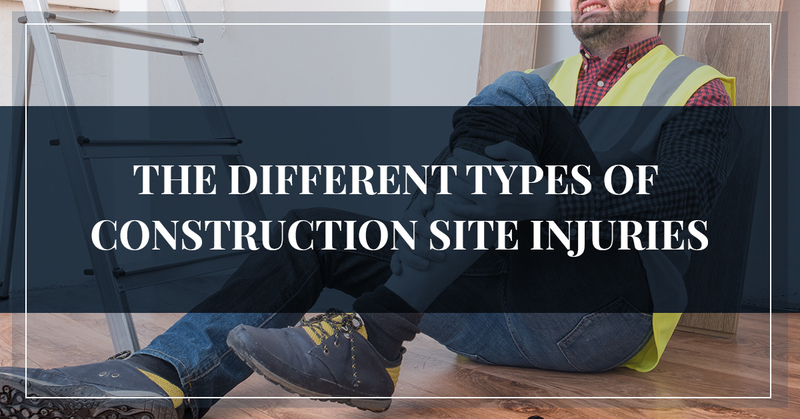 That’s why it’s important to take the time to familiarize yourself with the common types of construction injuries. Let’s take a look at some common causes of construction injuries and fatalities below. 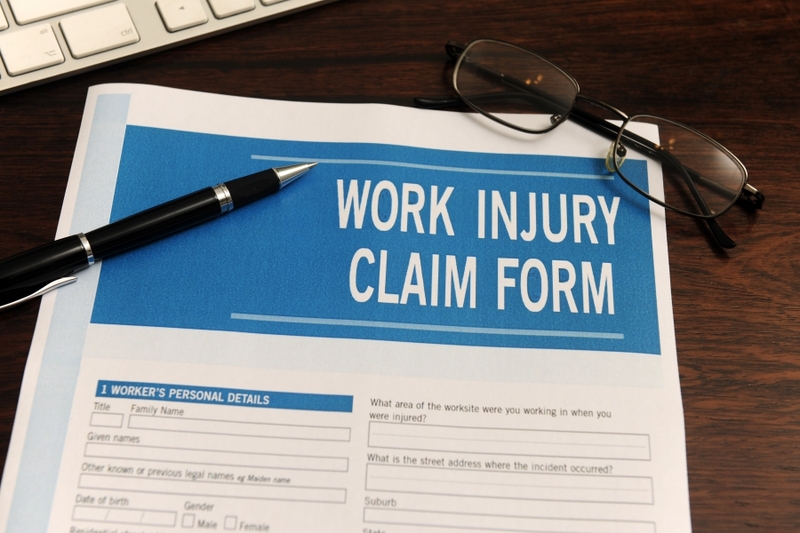 If you or a loved one has been injured on the job, you may want to file a workers’ compensation claim and a personal injury lawsuit against your employer. As Miami’s Top Rated Local® workers compensation and personal injury lawyers, the Law Offices of Mario Trespalacios P.A. can help. Schedule a consultation with one of our experienced attorneys today. If you work in the construction industry, there’s a good chance you work around heavy and hazardous equipment each and every day. Most construction sites require the use of heavy machinery including industrial drills and welding machines. When workers aren’t correctly trained on these machines or when care is not taken during the use of equipment, serious injuries can occur. Construction workers are also at risk when it comes to being stuck by foreign objects or materials that are not properly secured. That the construction tool or machine that caused your injury was unreasonably dangerous when it left the manufacturer or supplier. You were using the tool or machine in the manner that it was intended to be used. The machine or tool had a dangerous defect that caused your injury. Whether a dumpster has fallen over unexpectedly and landed on your leg, or a nail gun was misfired, you may be owed compensation for your pain and suffering. Contact a personal attorney right away to learn more about your rights. Many Florida construction sites will have hazardous conditions like exposed wiring, leaking pipes, and flammable chemicals. One wrong move can lead to a fire or explosion, which can result in serious injuries and even death. The operators and construction workers on a site have the duty of identifying fire hazards and minimizing the risk of a potential outbreak. When someone is injured or killed on the job because the site operator failed to fulfill their job duty, these negligent parties should be held accountable. To ensure your workplace is free from fire hazards, consider the fire prevention tips below. Keep your work site secure. The Federal Emergency Management Agency (FEMA) reports that approximately 71% of all construction site fires are due to arson. To reduce the risk of arson, do your best to maintain after-hours security and surveillance. Remove fire hazards near hot work zones. Most construction work involves the use of an open flame, whether it be a result of welding, brazing, or cutting. Before you begin any hot work in your construction area, make sure that all flammable and combustible materials have been removed from the area. Develop a fire safety plan. No matter what kind of construction work you perform, it’s critical that your employer has a fire safety plan that all workers are trained in. In addition, your employer should hold random fire evacuation drills to ensure everyone is on the same page should a fire arise. If a fire or explosion at your workplace has left you seriously injured or disabled, it’s critical to seek legal counsel right away. If you live in Florida and you’re looking for a workers’ compensation attorney, contact the Law Offices of Mario Trespalacios P.A. today. As you probably already know, construction work can be a physically demanding job. Carrying heavy equipment and working in a variety of weather conditions can lead to wear and tear on the body, especially when it comes to repetitive actions like hammering and sawing. 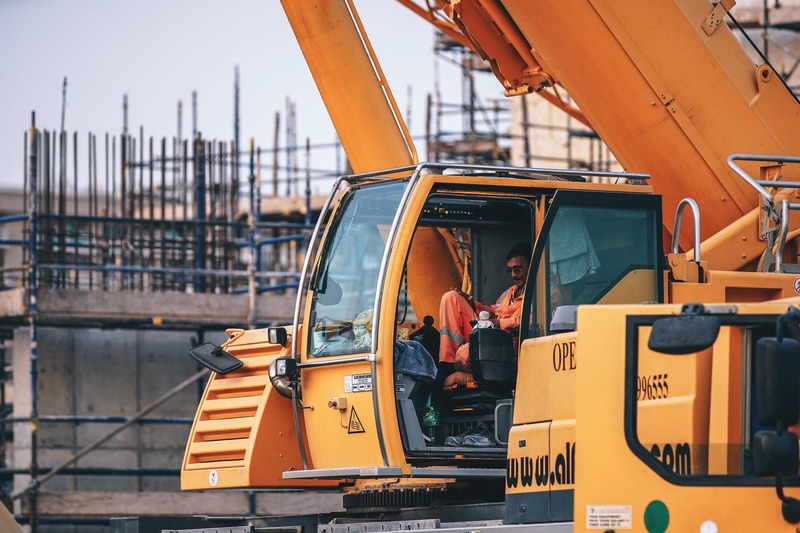 Construction jobs can involve a variety of repetitive movements that can leave workers with permanent injuries or conditions like carpal tunnel, tendonitis, and disc injuries. Many construction workers suffer from muscle and joint pain, especially when it comes to the back, shoulders, arms, and legs. If you’ve been the victim of a construction site injury, it’s important to seek legal representation right away. As the injured party, you may be wondering how to protect your legal rights and be compensated for your financial losses. At the Law Offices of Mario Trespalacios P.A. in Florida, our personal injury attorneys have decades of experience representing construction workers and other innocent victims that have been injured near construction sites. As soon as your injury occurs, make sure you seek medical attention right away. If your injury is not treated properly, it can lead to an array of issues down the line. This will cause you to sustain even more suffering while also incurring further medical expenses. If the defendant is able to argue that the plaintiff’s pain and suffering was actually related to a failure to seek medical treatment, the defendant may be able to avoid liability for your pain and suffering. Once your medical needs have been met, it’s time to seek legal advice as soon as possible. The sooner you can get an attorney involved with your construction site injury case, the sooner he or she will be able to protect your rights as an employee. For example, many insurance providers will ask the victim to make a statement in order to determine who was indeed responsible for causing the accident. It’s important to remember that this statement can be used against the victim in later litigation. This is why it’s so important to seek professional legal advice immediately after the accident. When an accident occurs on a worksite, there will undoubtedly be a lot of paperwork that comes along with it. As you fill out paperwork at the doctor’s office or with your employer, make sure you get copies of each document, including any medical reports that have been filed after your incident. When a workplace accident occurs, most employers and insurance companies will work hard to provide you with a settlement right off the bat. While you may be tempted to sign your name on the dotted line, our personal injury attorneys advise you not to. Unless you have a professional lawyer present, don’t sign anything you’re not 100% sure about. Whether your construction site accident was a result of a forklift crash or slip-and-fall accident, it’s important that you document everything you can. If possible, take photographs of the equipment you were using during the time of the accident. 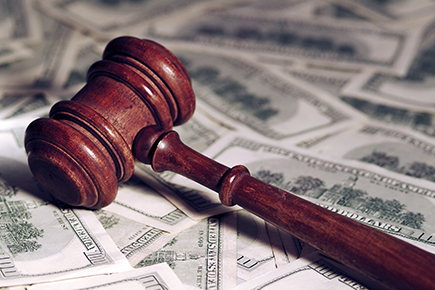 This will not only be helpful to your personal injury attorney, it will be helpful to the judge on your case as well. You’ll also want to report your injury to your supervisor or superior as soon as possible. 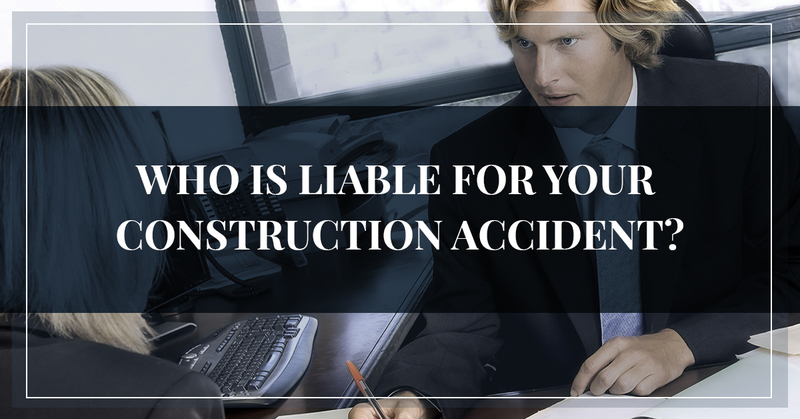 Who Is Liable For Your Construction Accident? If you’re like most people, you may be wondering who is liable for a construction site accident. In Construction Site Law and Construction Accident Law, trying to determine the liability of an accident can be extremely complicated. This is mostly due to the sheer number of people that are involved in a particular construction project. Besides the site owner and general contractor, big construction projects normally involve various subcontractors, construction managers, and material suppliers who can all play a role in a negligent or careless manner. 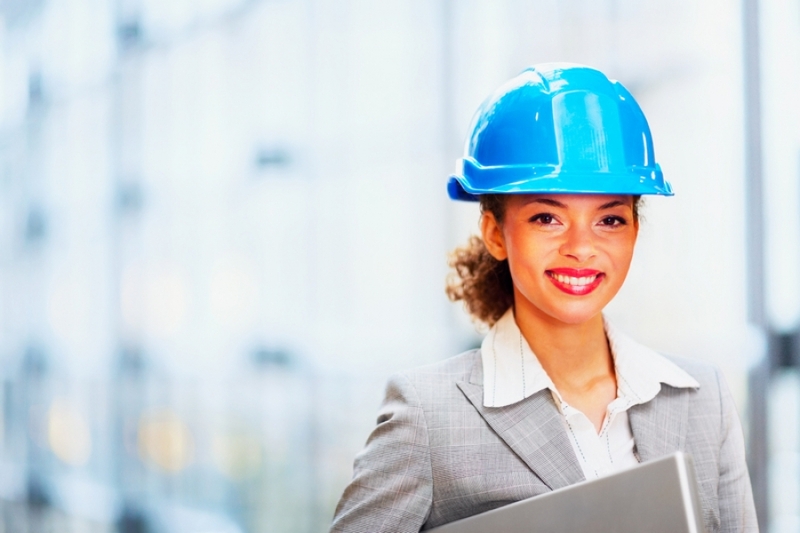 Let’s look at a few of the parties that may be liable for a construction-related injury below. If your employer is conducting a construction job on a worksite, the individual who possesses or owns the land may be held liable for injuries in the workplace. The owner of the site may be liable for any injuries caused by harmful conditions on the land. If there are various contractors working on a construction site, they have an obligation to make sure that tasks under their supervision are being performed safely and properly. This obligation includes the duty to hire trained and competent employees to perform these tasks. Under the Occupational Safety and Health Administration (OSHA), both general contractors and subcontractors must provide construction workers with a reasonably safe working environment and must warn workers of any hazards inherent in the job. 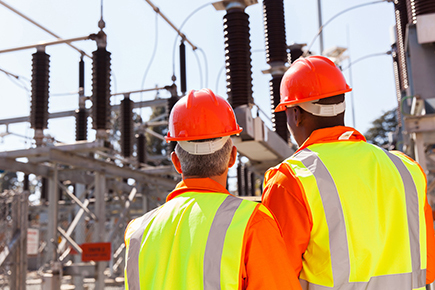 Did you know that construction manufacturers and supplies have a legal obligation to design equipment that meets a certain degree of safety standards? If a tool or machine malfunctions and leads to an injury, the company that made the product may be liable for the damages. If there is an architect or engineer behind a construction project, they are ultimately responsible for ensuring that the construction site or building is reasonably safe. These people are also responsible for ensuring the construction project is in accordance with building and safety code regulations of the state. If these standards are not met and you have become injured as a result, the architect or engineer on the site may be at fault for negligence. While the construction industry can be a dangerous profession, that doesn’t mean that construction workers must simply accept the risk of injury as a normal occupational hazard. 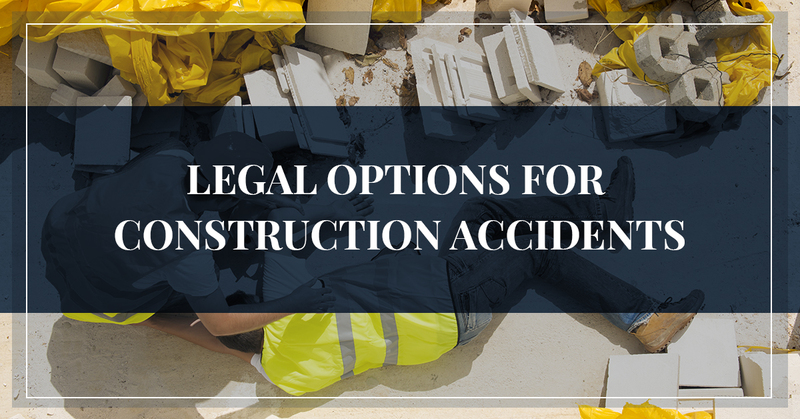 Thanks to state and federal laws that promote construction worker safety, when someone is injured on the job, they will almost always have some avenue of legal relief available to them. While laws tend to vary from state to state, there are three main legal options for injured workers. Let’s take a look at them below. In the state of Florida, when an employee is injured at work, he or she is entitled to payment for their injuries, damages, and losses. Workers’ compensation is a no-fault system, which means that an injured employee will be entitled to payment regardless of whether or not the employee did anything to cause the injury. While workers’ compensation rules only apply in the context of the direct employer-employee relationship, as we mentioned above, there are many other parties that may be involved in a workplace injury. This can include architects and engineers, general contractors, and the original construction site owner, just to name a few. If you or a loved one has been injured on a construction site, it’s important to seek legal representation right away. At the Law Offices of Mario Trespalacios P.A in Miami, we specialize in construction injury cases, auto accidents, denied claims, and wage and hour disputes. We have been defending the rights of Miami, including Dade, Broward, and Monroe county residents, for more than 25 years. If you’re interested in learning more about our personal injury attorneys, contact our team today.